Birth of a writer in me!! I started writing way back in 1995 when I was in my High school. It all started when I accidently giggled while one of my classmates recited her poem. My class teacher bombarded and humiliated me, rather she stripped me naked in front of all my other 70+ classmates (2 sections joined). I was terribly disturbed by this. Later after few days in the middle of the class my best friend (I believe, who had felt equally insulted) announced that I have written a poem, in spite of my non-approval. I was hesitant coz I thought my poem is silly. Well, the class teacher read it aloud in the class I saw she raised her eyebrow in surprise. Of course, I am sure she would have thought ‘How the heck this nasty, tyrant student had got to write such a piece’. Well, I was also equally surprised!!!! It so happened that after that day of humiliation, no doubt I was disturbed but I found myself in contemplation, aloof and always in thoughts. During this time one fine day at midnight a line stuck to my stream of thoughts, I woke up went to my desk and sat still as if waiting for the dictation. 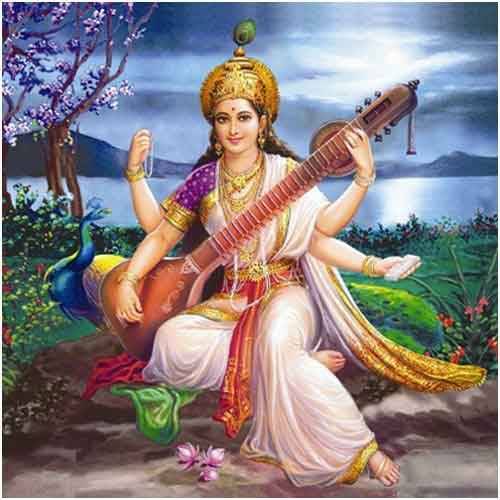 That day I wrote a poem on Goddess Saraswathi (Goddess of Knowledge), the same poem which made me a talking stalk in the whole of my school across all classes and also which was later published in our school’s annual magazine. This entry was posted in Misc and tagged Knowledge, Poem, Writer. Bookmark the permalink.